The Maltese Islands may be known for their fair climate, crystal clear waters and blue skies, but these Mediterranean island gems are also home to one of the most enduring masterpieces in the history of art – Caravaggio’s Beheading of St. John. Caravaggio’s fortuitous stay on the islands over 400 years ago was orchestrated by the powerful and wealthy Order of the Knights of St. John, who ruled over Malta from the 16th to the 18th century. So incisive was their stay on the islands that they eventually became commonly known as the Knights of Malta, with their famous eight-pointed cross today being Malta’s best known symbol internationally. Thanks to the Knights Hospitallers, these islands remained cosmopolitan with their harbours wide open for trade. The Knights made sure that their island home would always remain close to the centre of power and authority in mainland Europe which was symbolised by Rome. For this reason, the most prominent artists and architects of the time never failed to be invited to Malta by the Order’s Grandmasters. And their close contacts with the Vatican and the European aristocracy ensured that these artists were lured to Malta’s shores. Malta has something special about it, and those artists who came then found it a veritable place of great inspiration for their art. History has shown that these international artists have often produced their most remarkable work on Malta. This is no less true with Caravaggio, whose short and tumultuous stay on the island in 1607-08 gave us one of his most important, if not the most celebrated work in history. Caravaggio is today one of the great icons in the history of western art. He is justly regarded as the master of Chiaroscuro, creating mood, emphasis and relief by contrasts of light and dark. 400 years after his death, the artist today is celebrated as a master and a legend and revered as a supreme cultural hero. His fame is fuelled by the seeming symmetry between his tempestuous life and his raw, revolutionary art. His brief 18-month sojourn in Malta was illuminated with bright flashes of creative genius and uncouth and rebellious behaviour. 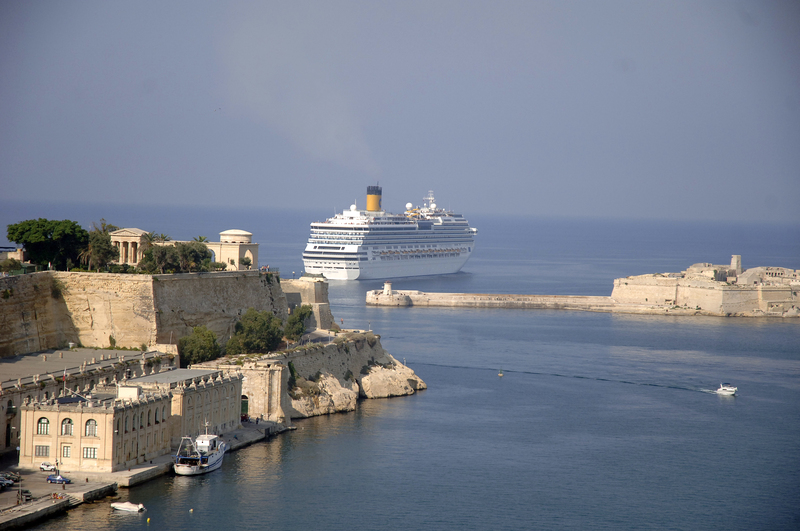 His story on Malta unfolds like a drama and adds to the fascination of the islands today. 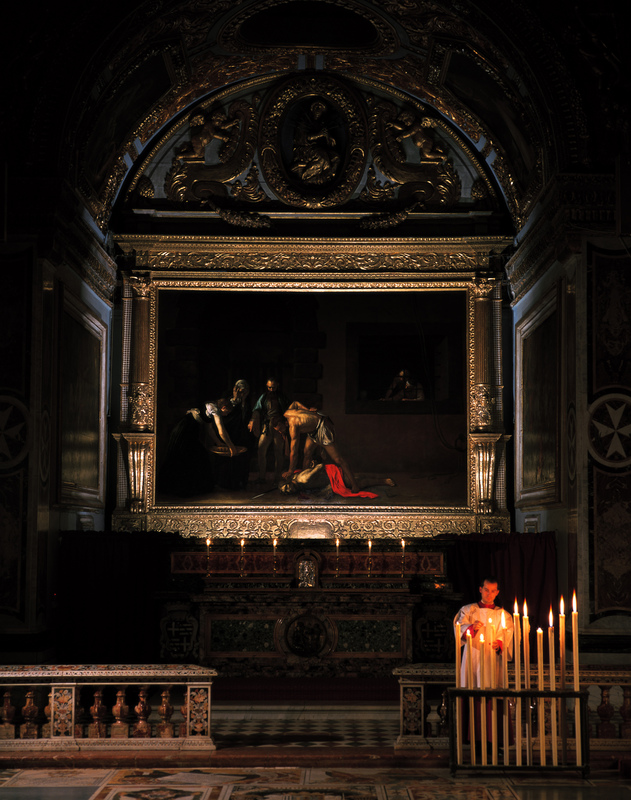 As one steps inside the Oratory inside Valletta’s Cathedral of St. John in the heart of the city, one is immediately immersed into a theatrical setting of Caravaggio’s greatest masterpiece – the Beheading of St. John the Baptist. This is his largest and only signed canvas. The intensity of the scene, almost Shakespearean in its intense concentration of human tragedy, is told with superb visual economy that purges all essential details and heightens its poignancy and dramatic effect. Before his arrival in Malta, Caravaggio was already an artist on the run, desperately seeking a pardon from the Vatican for the crime of murder he had committed in Rome. Yet, his fame and artistic genius led Grandmaster Alof De Wignacourt to submit a petition to the Pope asking for a one time dispensation to enrol him as a Knight of Obedience. Eventually, only six months after the official request to the Pope, Caravaggio was formally admitted as a Knight of Obedience. Caravaggio’s work of the beheading was started and completed during the time spent waiting to be enrolled as a member of the prestigious Order. Clearly, he wanted to impress his patron and host Grandmaster Wignacourt. And impress he did, creating a masterpiece. So proud was he of his new title as Knight of the Order, that he went on to sign his freshly completed work as ‘Fra Michelangelo’. Alas, the artist’s time of relative peace and order on Malta was not to last, as barely a month after he became officially a Knight, he was involved in a brawl in the streets of Valletta with another fellow Knight of the Order who was seriously wounded. Eventually, the artist ended up in prison at Fort St. Angelo in Vittoriosa, but he managed to escape to Sicily. He was expelled from the Order in 1608, and defrocked in absentia in front of his very own painting which he had just completed a few months before. Today, Valletta’s streets are free of brawls, but local and international artists are still mesmerised by the beauty of Malta, many of whom choose to have a base on the island and often live in Valletta, much like Caravaggio had done 400 years before. Numerous great artists left their mark everywhere on the islands. A stroll around Valletta captures the essence of the Baroque era, with wonderful church facades and ornate palazzos everywhere you walk. Caravaggio must be the most famous of artists to visit Malta, and his masterpiece at St. John’s is a must-see, but there is much more to discover. 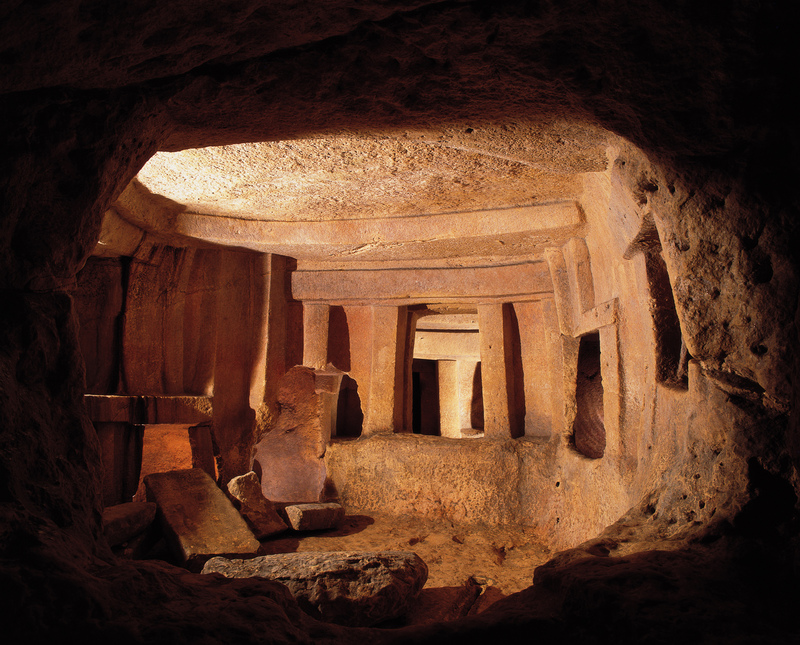 This underground temple and burial site, now inscribed on the UNESCO World Heritage, is unique in the world. The chambers evoke mystery and shed light on an old civilisation which inhabited these islands 5000 years ago. 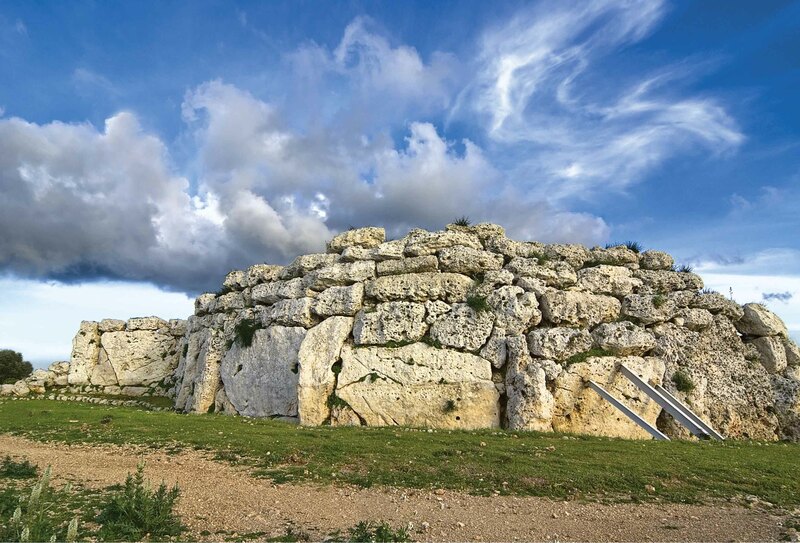 These temples, found in the centre of Malta’s sister island of Gozo are the islands’ best kept secret – few people know that they are the oldest free standing structures in the World, predating the Pyramids of Egypt and Stonehenge by over a 1000 years. 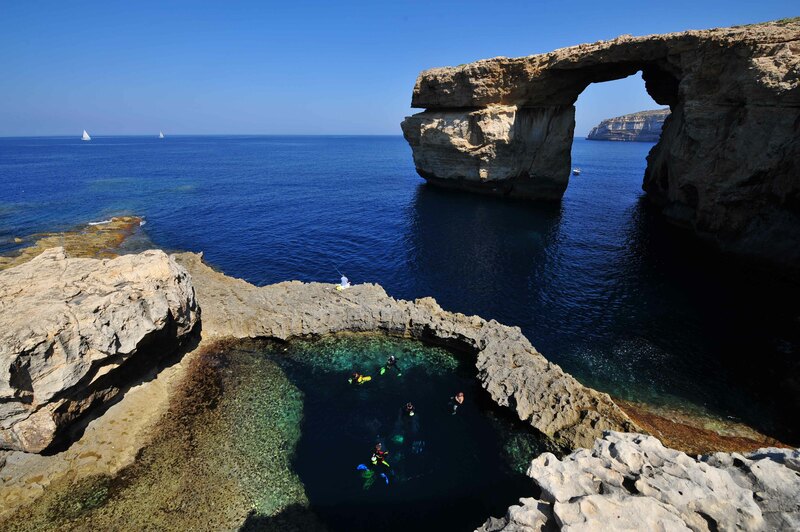 Again Gozo steals the show for the islands’ best known iconographic image – the Azure Window. This spectacular natural arch, some 50 metres high is best seen at sunset when the glowing sun is absorbed into the Mediterranean Sea. 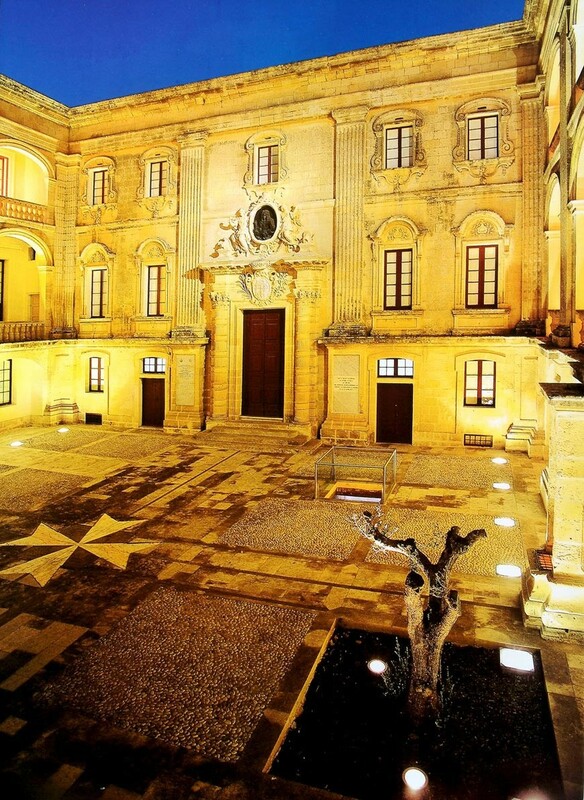 If Valletta is Malta’s city of elegance and opulence, Mdina is the island’s age-old capital where the local nobility, dating back from medieval times have lived in their stately homes for centuries. Dubbed ‘the Silent City’, there is an atmospheric and eerie feel to this place as you walk through its narrow allies past medieval buildings leading onto to majestic open squares from the Baroque era.